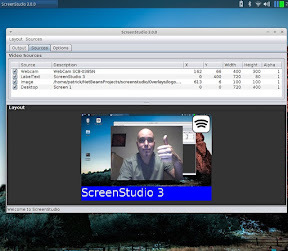 With the new release of ScreenStudio 3, a lot has changed since the version 2. I've posted on my Youtube channel a quick tour of the features of ScreenStudio 3. As a side note, the main website has been updated to reflect the changed of ScreenStudio 3. There is a lot of research done about security these days. If you follow tech news daily, there is always an article about some new ways to hack a computer or your mobile device. Personally, I'm not that paranoid about security issues. I do update my passwords regularly and I stay alert when someone is sending me an unknown link. I do share some data with Apple and Google as I consider that this is not such a terrible problem trying to improve their products. This is technically possible but so impractical to put in place. There are so many hoops to go thru that it is hard to consider this a security threat. Basically, anything that can produce a signal of some sort can be used o transmit sensitive information. My Pebble Time watch could be used to transmit data by flickering some pixels colour. Any smartphone could embed sensitive data while playing music in such a way that it is inaudible for the human ear. Transmitting can be easy but there is a big catch: There must be a receiver listening. So you need to "infect" the transmitting device which can prove to be difficult. Then you have to find a way to receive the information. When there is proximity factor involved, such as a 6 feet range, it's hard to consider the issue as a major security concern.